A home isn’t just the walls and the roof that covers us. It is more of something we really belong it. If we don’t have a home, it is like we are nothing. Every home has a story. There are happy ones but there are sad ones too. Yet all these complete our home. Every member of the family is what comprise our home as well as every single memory. We can see that in all our homes, may it be big houses or small ones. I am also sure that this is how you look into your own house too. 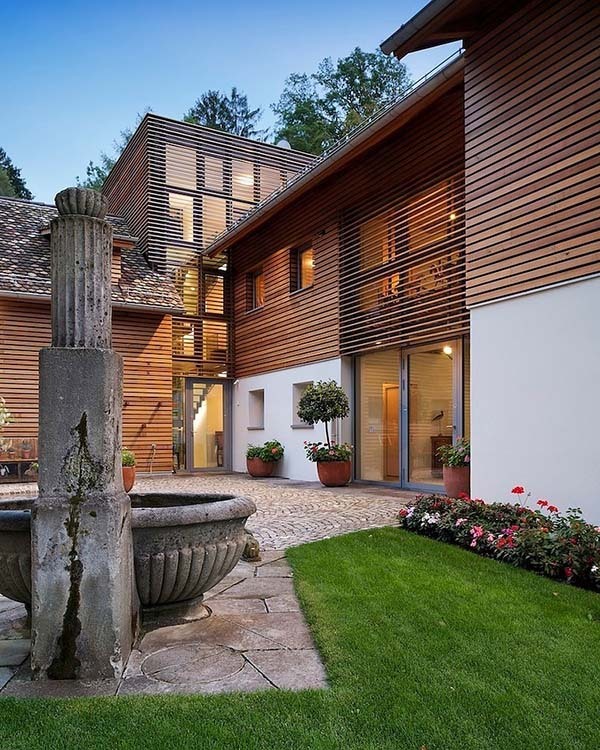 Like our own homes, the Hasenacher House has a story which is preserved in the design of the house. 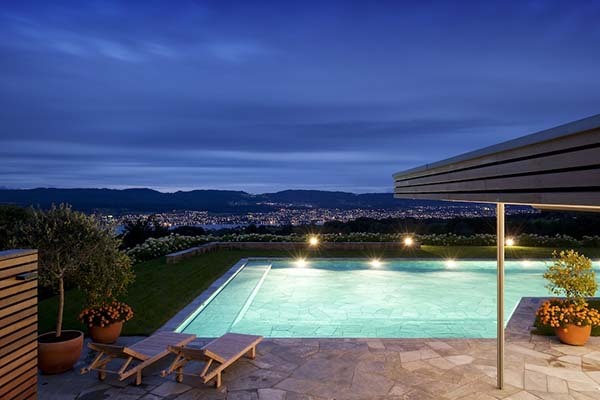 It is an incredibly stunning single family private residence located in Zurich, Switzerland. The house is said to be filled with so much memory including “historical memories of a different time abound, memories of a different purpose, memories of Hasenacher’s beginnings, memories of children laughing, swimming, growing up and having children of their own”. The footprint of the house is focused on preserving all those memories. It is actually considered the foundation of the house. The house occupies a spot where on the original location and footprint of a former house. But it was enhanced even in the exterior. I can say the house is pretty with a mix of contemporary and traditional design. 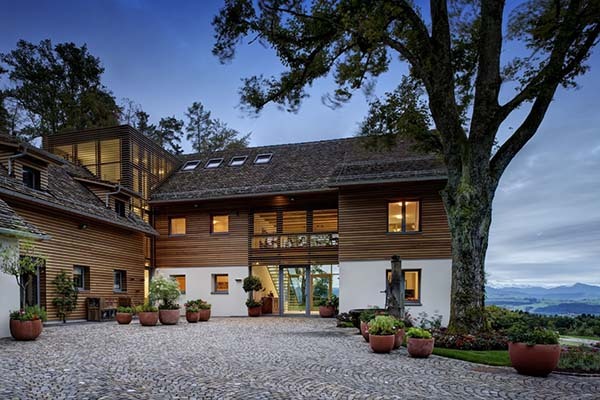 Using wood for the house in this manner adds to its aesthetics. It is so beautiful, isn’t it? The interior as you can is indeed full of memories from every item placed in it. I am certain that even the displays and wall decors has something to do with some memories of the owners. 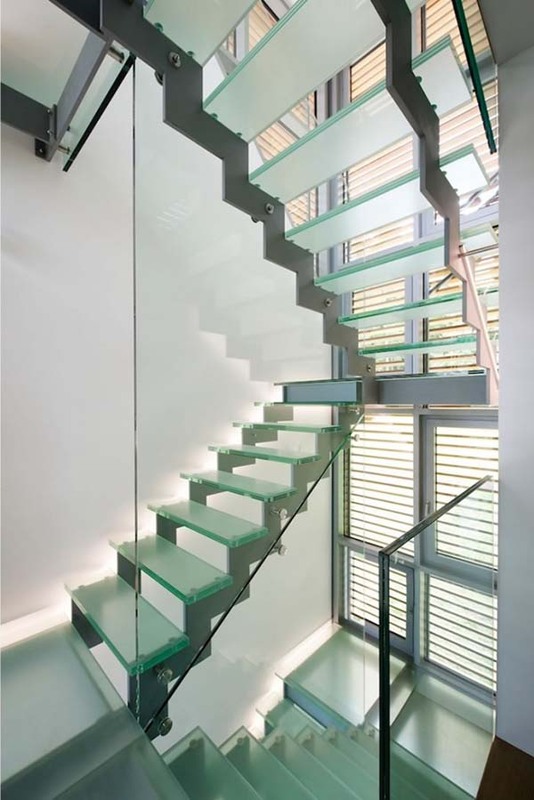 One highlight of the house is this staircase made of glass. It sure looks very fragile! 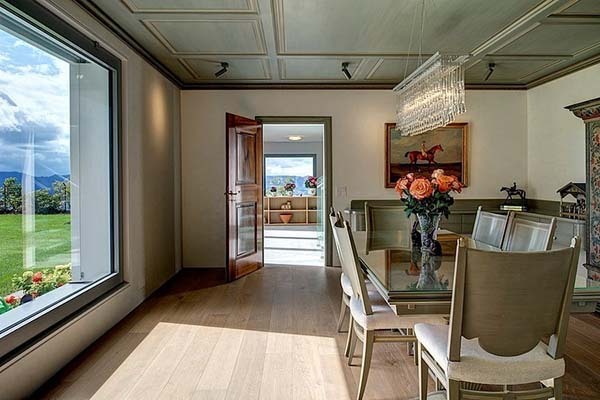 The dining area looks classic for me with a pretty lighting above it. The kitchen is quite big that is surrounded by glass that can slide open and close. Aside from the kitchen, there is also a sitting area too with a subtle rustic feel. 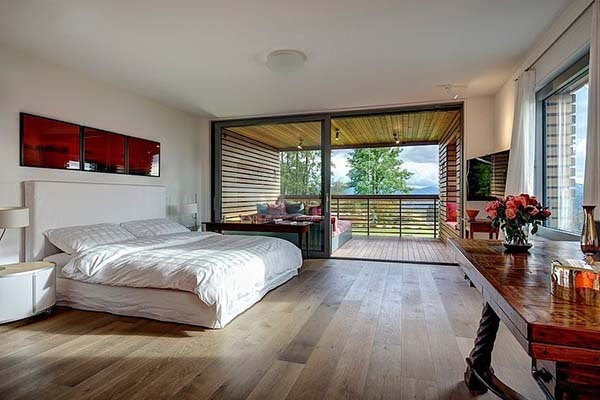 A spacious bedroom with some natural elements and a terrace is anyone’s dream private hub. This is how the terrace looks like. 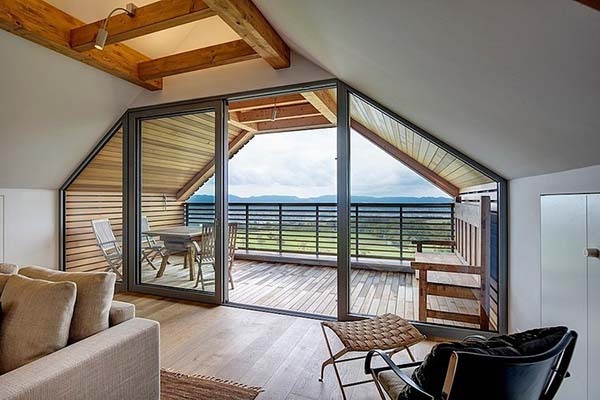 Such a sweet space to rest and unwind! 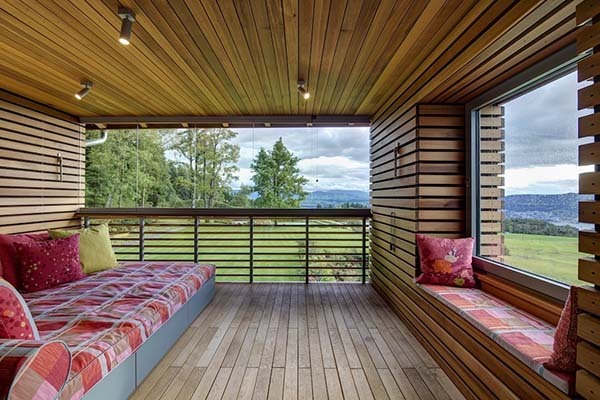 Love the wooden planks here and the bench too! 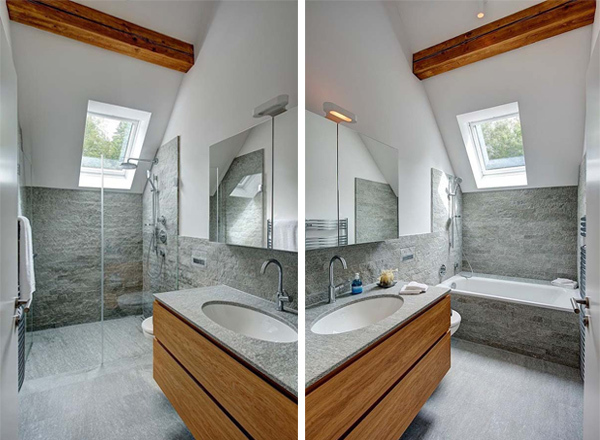 The bathroom has a shower area on the other side and a bath tub on the other. 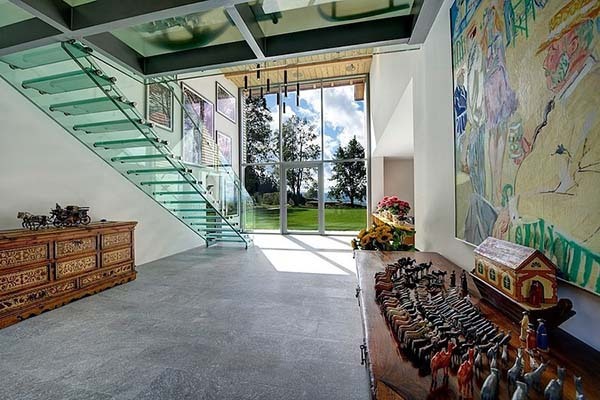 The ceiling of this area as a unique design that was then adapted by the glass wall and sliding door. What a lovely pool area with a pool house! I’d definitely spend some time here if this place is mine. A kitchen and sitting areas are accessible from the pool. Well, talk about pool parties! I like the idea of having a shower for the pool with a sculptural wall. 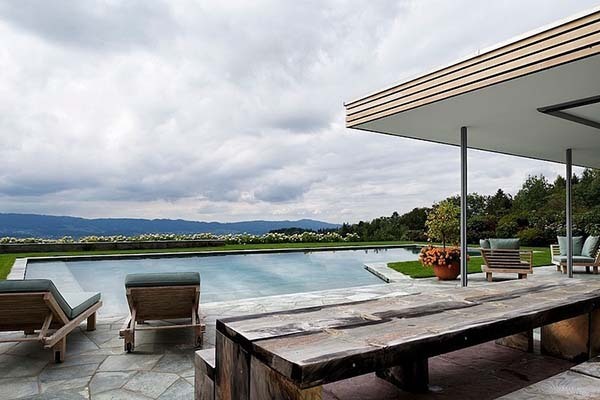 The pool is L-shaped and looks very modern and relaxing with a stone decking. 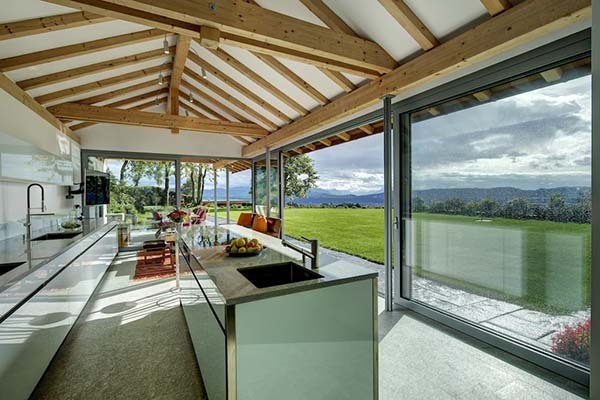 The pool house can be opened and closed depending on the needs of the users. And when night time comes, it has dramatic lightings too. 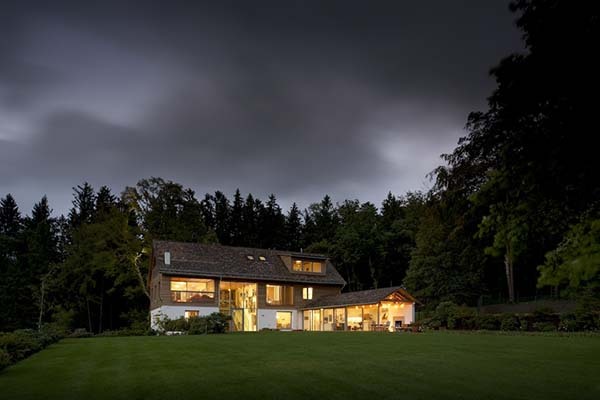 The house is flexible and accommodating to the changing times. It showcases the memories collected over the centuries. 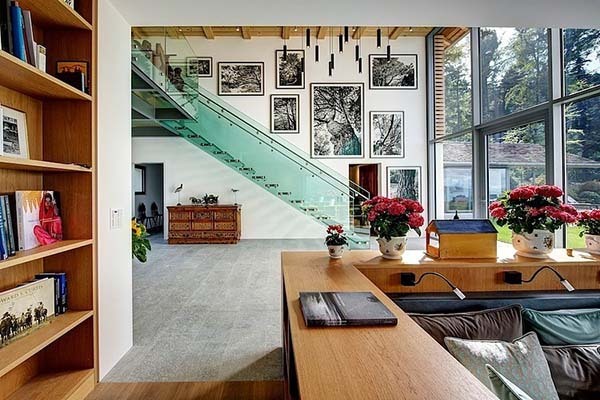 It is also designed to fit the changes that may occur in the house. The Stelle Lomont Rouhani Architects said that in the house “one can live there and partner in its subtle evolution which is a privilege and life affirming”. 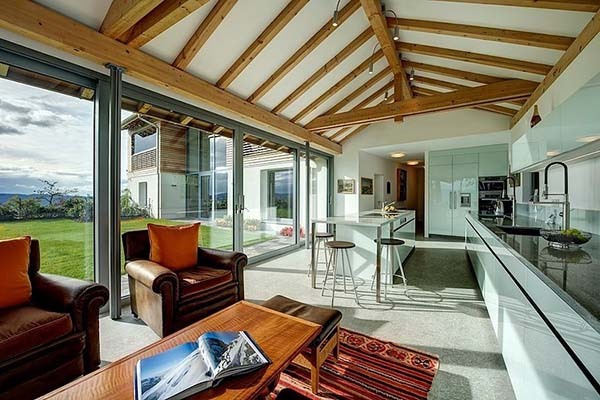 Aside from that, the way the house is designed is indeed stunning and lovely and yes, very comforting. Above all, it is something one can call “home”.